Who Better To Talk About Divisions Than VP Who Served Under An Extremely Divisive President? The constant American endeavor to live by our values is a great strength that has drawn generations of strivers and dreamers to the United States, enriching our population. Around the world, other nations follow our lead because they know that America does not simply protect its own interests, but tries to advance the aspirations of all. Obama’s example: leading from behind. Blowing off the attempt at freedom during the Iranian Green Uprising and the Arab Spring. Backing the Islamist Muslim Brotherhood in Egypt. Essentially blowing off the Russian invasion of Crimea. Refusing the previously promised missile shield for Poland. Making a deal with Iran that kicks the can of Iran’s nuclear aspirations down the road while giving the America hating nation, which wants to destroy Israel and is the world’s #1 state sponsor of terrorism, the means to enrich itself, with the money used to fund terrorism. Those are but a few examples of Joe’s America under Obama. This has stood as the foundation of American foreign policy throughout my political career — until recently. Around the world, including in the United States, we are seeing the resurgence of a worldview that is closed off and clannish. President Trump keeps longstanding allies such as Germany at arm’s length, while expressing admiration for autocrats like Vladimir V. Putin who thwart democratic institutions. Meanwhile, Obama managed to constantly annoy our allies while reaching out to our enemies. Leading from behind. Telling Russian president Dmitry Medvedev that Putin should give him some space because he would have more flexibility after the election. 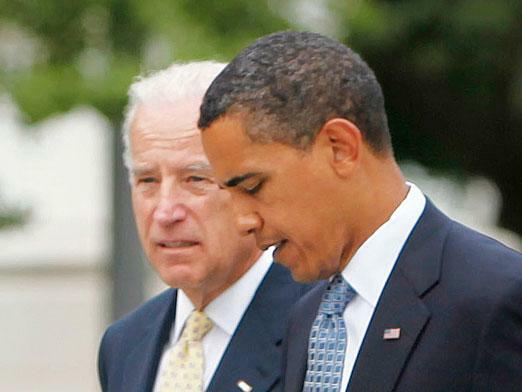 Oh, and I wonder if Joe has any words on Obama’s handling of Syria. The red lines he set and then blew off. Not too mention ignoring the rise of ISIS. Rather than building from a narrative of freedom and democracy that inspires nations to rally together, this White House casts global affairs as a zero-sum competition — for the United States to succeed, others must lose. Among the many problems that plague the Trump administration’s foreign policy, this line of thinking is perhaps the most disturbing. During a speech in July, Mr. Trump said, “The fundamental question of our time is whether the West has the will to survive.” This statement divides the world into “us” and “them.” No American political figure has so narrowly defined our interests since the period between the world wars. First, Joe’s boss wasn’t particularly interested in pressing freedom and democracy at home, much less around the world. Perhaps Joe should ask Obama about why the IRS intentionally targeted Conservative groups, and the FBI targeted journalists. Second, if Joe wants freedom and democracy, he should want to keep the radical, regressive, extremist Islamists out of the West, as they want to bring their values to our nations and force us to change to their radical, extremist, regressive beliefs. Reclaiming our values starts with standing up for them at home — inclusivity, tolerance, diversity, respect for the rule of law, freedom of speech, freedom of the press. If these are the democratic principles we wish to see around the world, America must be the first to model them. IRS targeting. Forcing women and girls to share their bathrooms, showers, and locker rooms with the gender confused. Running guns into Mexico. Targeting the press. Supporting Democrat voting groups which shut down free speech, often violently. Ruling by executive fiat. Targeting people engaged in religious freedom. Again, just a few examples of Joe’s boss. You cannot define Americans by what they look like, where they come from, whom they love or how they worship. Only our democratic values define us. And if we lose sight of this in our conduct at home or abroad, we jeopardize the respect that has made the United States the greatest nation on earth. Perhaps Joe should talk to his Democratic Party brethren, who are less than interested in upholding our “democratic values”, as they refuse to accept the outcome of the election, and want Trump impeached simply because he won and Hillary lost.